The Kid's Padded Chandler Overtrousers from Regatta won't let the rain and cold get the better of them. 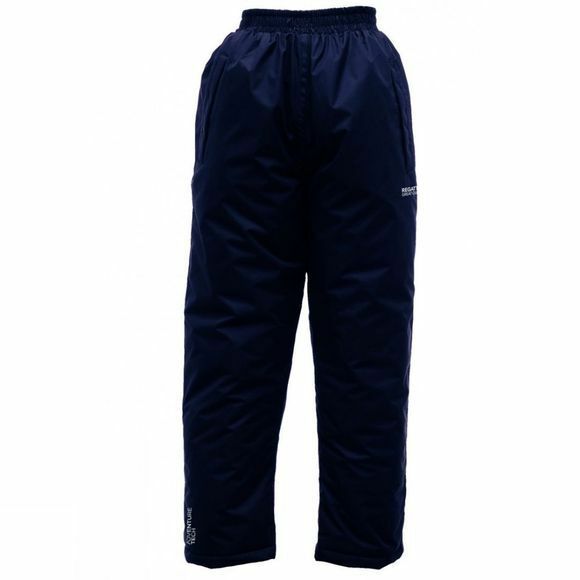 The waterproof and breathable Isotex fabric with Thermo Guard insulation serves to protect during cold months outside. Styled with an elasticated waist for comfort, this warming pair are perfect for winter play time adventures.